Last August, I was travelling to Bali, Madura (two places both in Indonesia), Singapore, Johor and Malaysia. I know it’s November and it was super long before I post my whole travelling & food guide stories to you all, but hey, you could use this guide anytime – well, except the fact that Singapore 50th National Day only came once in your life time, hahaha! If some of you wondering why I’m “gone” for a while, to cut it short – I don’t want to get you bored – it’s because these few months are my life changing events & hell yeah, I am pretending to be busy, LOL. Once again, sorry for the delay! I arrived at Singapore around 2 p.m on 9 August 2015 (YES, IT’S THE NATIONAL DAY BABE!! ), because my flight is not a direct flight. So, I need to transit for about 3 hours in Jakarta (there’s another story for this, and it’s kinda long because Surabaya – Singapore route is being hold since December last year due to some reasons, but thanks to Air Asia crew, they manage to turn my flights so that I still can go to Singapore via Jakarta *YEYY!). When you step out from the airplane, if you’re Indonesian and you’re using Air Asia, you’ll see this signs. Just follow the “Arrival” sign until you could grab your baggage. 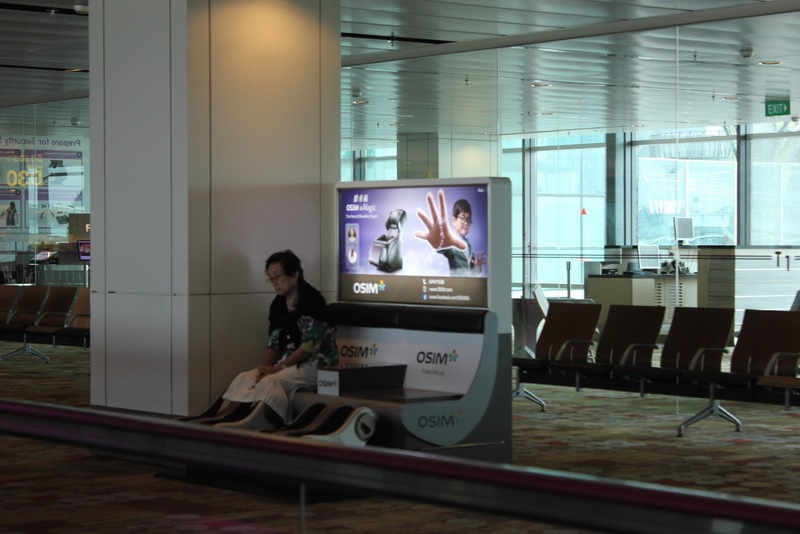 Changi Airport is really huge, so you might watch out because you don’t want to get lost, right? 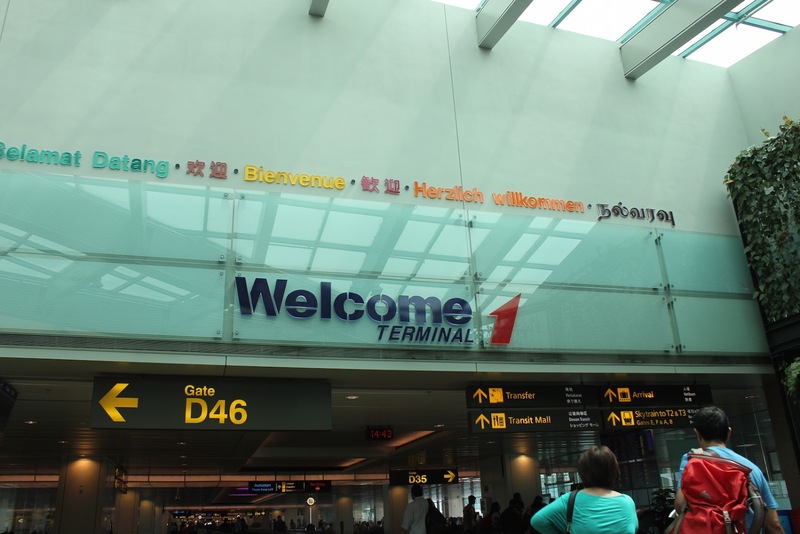 Not for long, you’ll find this sign “Welcome Terminal 1” you’re still on the right track! 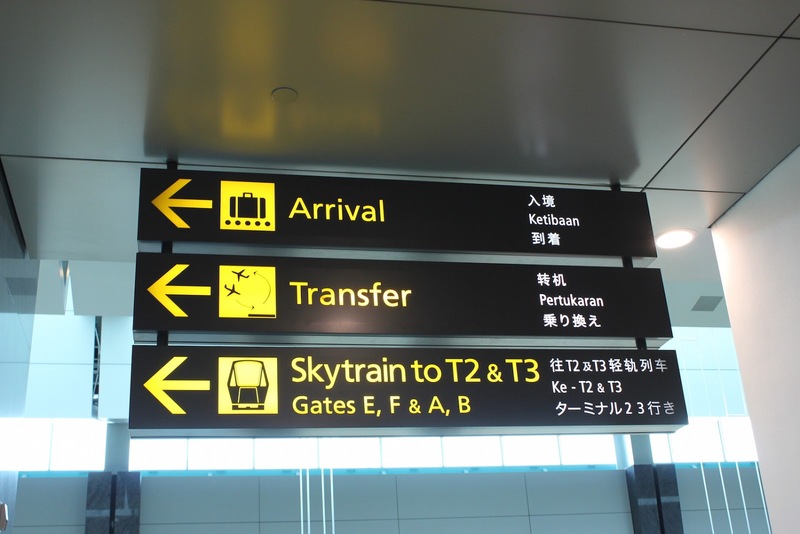 Don’t forget to keep follow the sign until you reach the “Arrival Immigration” on the airport. As I walk through the Travelator, I spot something unique and beneficial for those who feel tired after your long flight. There are some foot massage facilities along the way to the Immigration. If you’re travelling with older people, it’ll be very useful. I spot an old lady enjoying the foot massage. 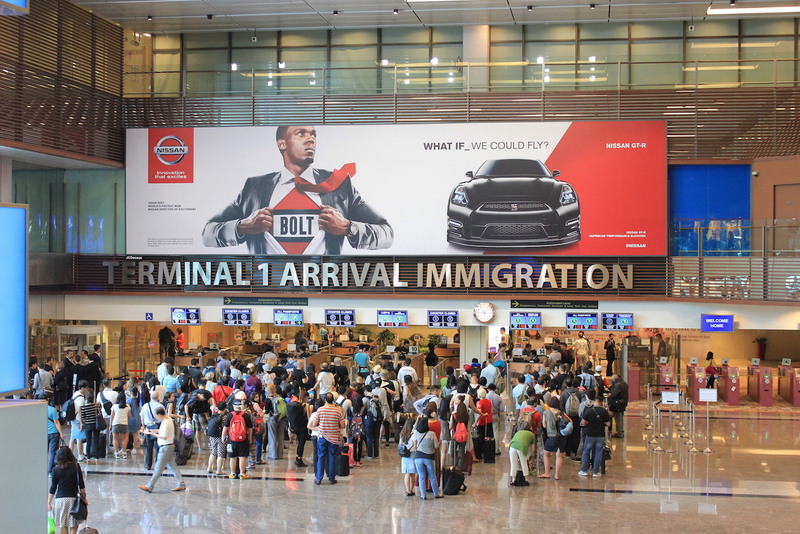 You’ll walk down on an escalator and spot the Terminal 1 Immigration. Take out the form that you’ve filled inside the airplane – or maybe take a new one if you lost it / haven’t take it – then start queuing. While waiting, you could grab some brochures and small guide around. I found it quiet useful, because you could get more insights about what’s going on and around Singapore. Passed the immigration, I board the “SkyTrain” to Terminal 2, because I’ll hop on MRT to go to my hotel. If you also want to hop MRT, then follow the sign “SkyTrain”. Guess what? 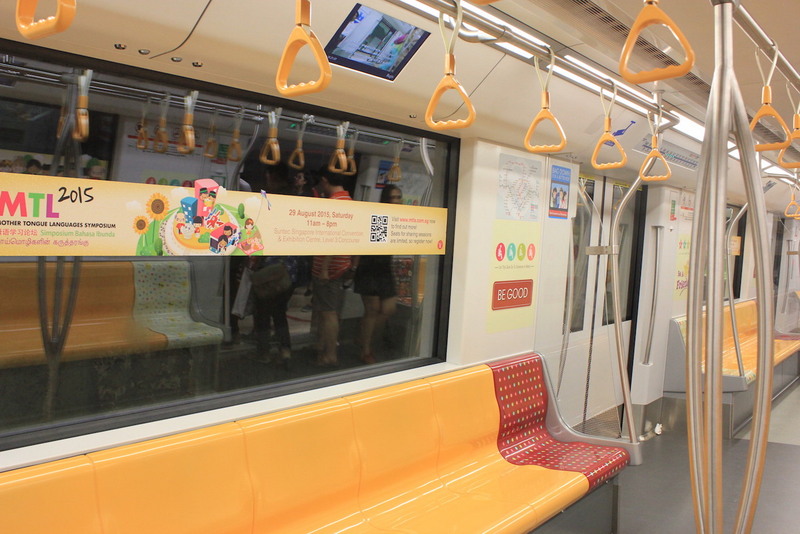 Because that day was the 50th National Day, you could ride the MRT FOR FREE. Yes, you read it right, FREE the whole day! 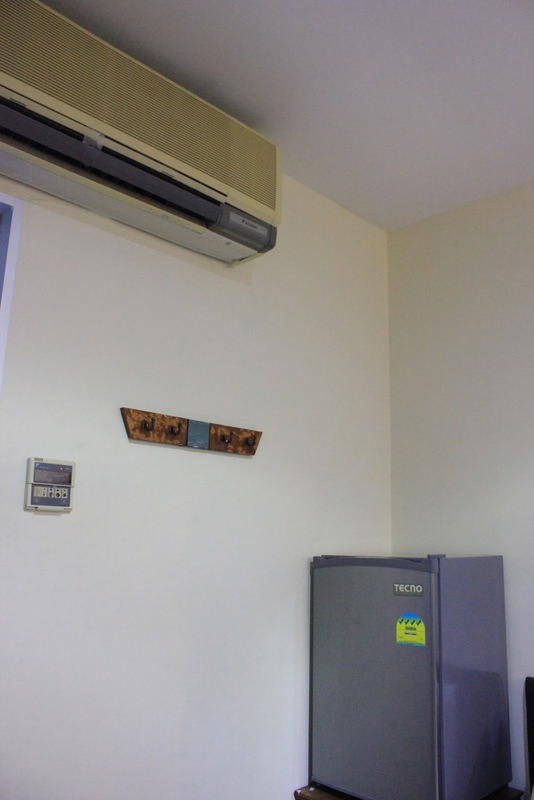 I book a hotel near Aljunied (MRT : Aljunied) area called “Chang Ziang Hotel” through Agoda.com with a great price. 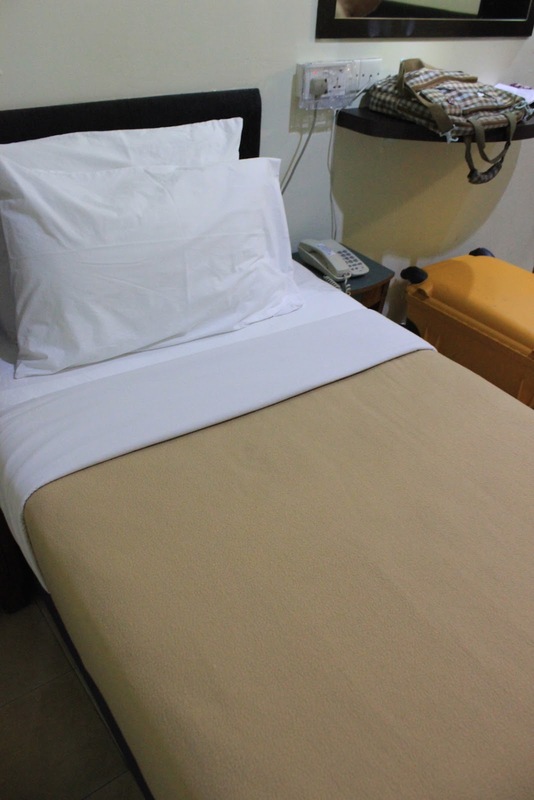 A queen bed & a single bed, for 3 persons, only IDR 700,000. 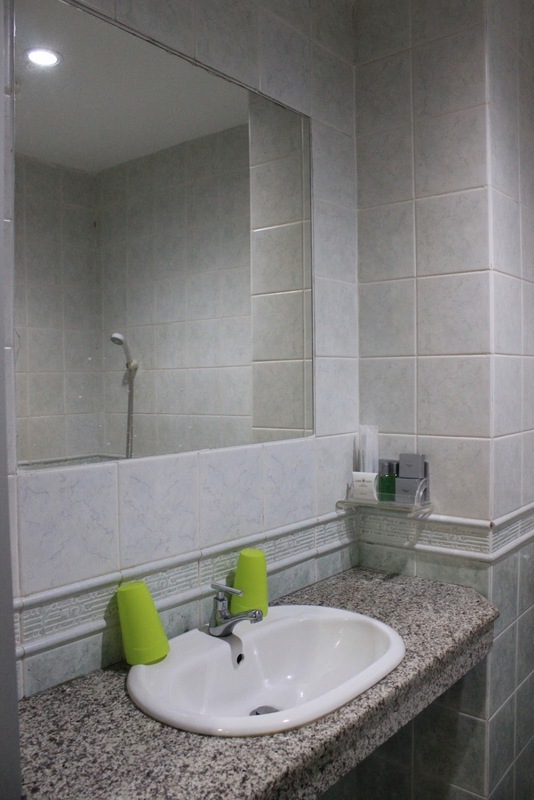 You’ll have an inside bathroom, complete bathroom supplies, 3 complimentary bottled water, television, air-con, even there’s a fridge inside. Here’s the map to the hotel – super easy! 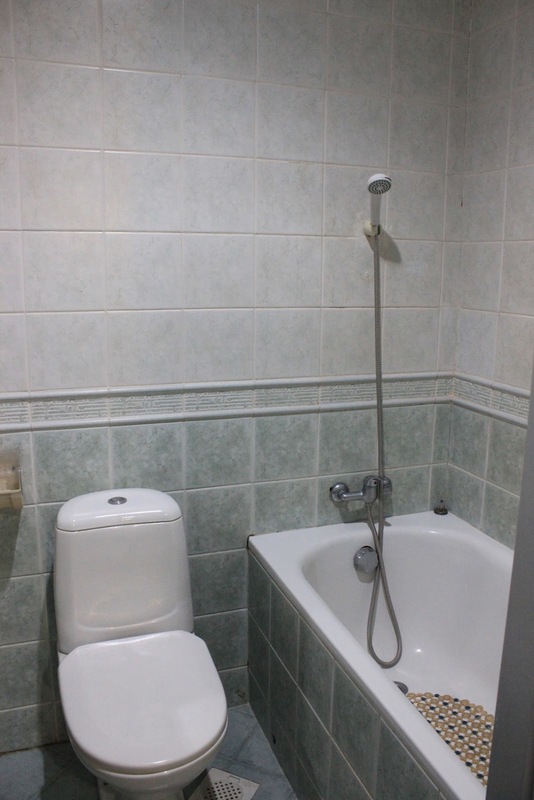 Here’s a room tour with pictures, the hotel is very clean, comfy, and homey! After I clean myself and put all my belongings inside the hotel, because today is the National Day, I heard that the fireworks will begin on the Marina Bay Sands, on The Float area. 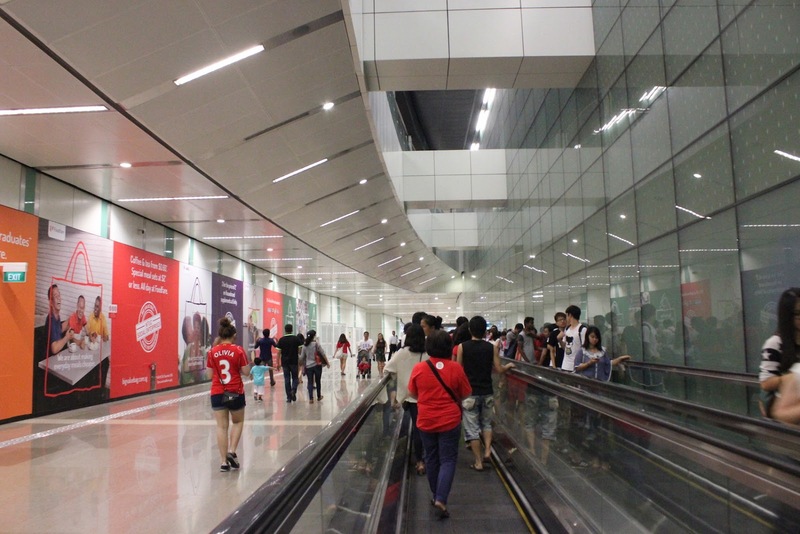 A bit of intermezzo, here’s what Singapore’s MRT Hallway look like. (Reminds me of how happy I am to be back on Singapore again after 5 years!!). Thankfully, there’s still a big LED screen in front of the MRT station, where I could watch the National Parade. From there I found out that yes, it’s true that the Parade passed by in the area, but the primary location of the whole National event is not located on the Marina Bay. The complete story will soon on the Singapore Day 2! I don’t want to share picture only, so here’s a short video on the Parade (almost the end of it, I know *also sad* 😦 ) and also what’s on the LED Screen. Lesson learnt : Even though you already search information on the website, it’s better to go there earlier – like really, earlier – especially on a special, once in a lifetime day like this, like taking a flight one day before, or arrived in the morning. Day 2 : Singapore – St. Andrew’s & Orchard Road ! Previous PostBatu : Paragliding at Banyak Mountain, I’m Flying Like a Hawk! !Next PostDay 2 : Singapore – St. Andrew’s & Orchard Road !